The plunge in oil and gas prices has tarnished the appeal of master limited partnerships (MLP), fueling income-seeking investors’ zeal for yieldcos—an offshoot of the utility sector that relies heavily on drop-down transactions for growth. Rather than pipelines and other midstream assets, yieldcos generate reliable cash flow from power plants that operate under long-term contracts. Prospective investors should take a long look before they make the leap. Despite the name, most yieldcos don’t offer much in the way of yield at this point, especially relative to shares of traditional electric utilities. 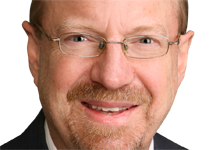 Investor demand and a visible pipeline of assets for drop-down transactions have made yieldcos more of a dividend growth play. And that’s not the only difference: Yieldcos primarily own assets that operate in unregulated markets, an arrangement that eventually will lead to re-contracting risk. But as long as the six yieldcos in our table run their power plants well, investors should enjoy a reasonable margin of safety. And the more generation capacity that these entities build or acquire, the higher their dividends will go. Most of the names in our table have scored big returns since their initial public offerings (IPO), as yield-starved investors flock to these growth stories. Failing to live up to these expectations isn’t an option for these fledgling publicly traded companies. NRG Energy (NYSE: NRG) started the yieldco craze with the IPO of NRG Yield (NYSE: NYLD) in July 2013. The spin-off has grown its dividend by 18.2 percent and rewarded early investors with a total return of 152.3 percent. Subsequent yieldco spin-offs have generated solid gains. This year will bring a seventh entry to the universe: A joint venture between solar-power outfits First Solar (NSDQ: FLSR) and SunPower Corp (NSDQ: SPWR) that will own generation capacity built by its sponsors. Whereas yieldcos generally have outperformed, their sponsors’ shares have lagged; of the six names on our list, only NextEra Energy (NYSE: NEE) has posted a gain since creating its spin-off. All told, the parents’ stocks have lost an average of 14.5 percent of their value, while the yieldcos have averaged a 53.5 percent total return. Nevertheless, investors shouldn’t overlook the benefits that accrue to the yieldco sponsors. These spin-offs give the parent a vehicle to monetize power-generating assets that operate under long-term contracts by selling them to the yieldco to drive dividend growth and price appreciation. This strategy achieves a higher valuation for these assets and provides the parent with access to low-cost capital to invest in additional growth projects or acquisitions. And the sponsor corporation maintains exposure to the yieldco’s upside and present and future cash flow via a retained equity interest. NRG Energy’s 65.5 percent economic interest in NRG Yield, for example, will contribute more than 20 percent of the parent’s cash flow this year. That income is also taxed more lightly than if the parent held these assets directly. The capital raised by dropping down assets to NRG Yield has helped to shore up NRG Energy’s balance sheet while cash flow from the yieldco helps to offset slumping results at the parent’s wholesale power division, which has suffered from depressed electricity prices in the spot market. NRG Energy’s long-range plans involve improving its revenue mix by growing NRG Yield’s cash flow via asset drop-downs. Abengoa (Madrid: ABG, NSDQ: ABGB) has pursued a similar strategy with Abengoa Yield (NSDQ: ABY). The same goes for SunEdison (NYSE: SUNE) and its TerraForm Power (NSDQ: TERP) spin-off as well as NextEra Energy and NextEra Energy Partners LP (NYSE: NEP), which is technically an MLP. However, drop-down pickings have been slim for TransAlta Renewables (TSX: RNW, OTC: TRSWF), which hasn’t grown its payout in more than a year. Pattern Energy Group (NSDQ: PEGI) has completed some drop-down transactions and grown its dividend modestly since its IPO. But questions remain whether its private-equity sponsors are building for the future or just unloading assets at elevated valuations. With the yieldco universe still a bit of a novelty, most investors don’t make these distinctions. But the sponsor’s future plans are critical to determining whether the yieldco’s growth story will have staying power and build wealth for investors over time, or whether these vehicles merely represent an exit strategy. How does First Solar and SunPower’s joint venture measure up? The market’s reaction to the Feb. 24 announcement has been enthusiastic, with First Solar’s share price surging by more than 20 percent and SunPower’s rallying by about 17.5 percent. Look a little deeper, however, and the picture is far less clear. The two solar-component makers build 100-megawatt to 200-megawatt solar-power plants that they sell to utilities and other power producers. The proceeds from these deals get rolled into other growth projects, new manufacturing capacity and research and development. This strategy has enabled both firms to generate profits in recent years, despite falling component prices that have undermined the business that was once their bread and butter. Over the past three years, First Solar has grown its revenue by about 21 percent, while SunPower’s profits have surged almost fivefold. Recent results, however, suggest the model has run out of steam. Vishal Shah, a Deutsche Bank analyst, suggested that the 1,395 megawatts of solar-power assets owned by the joint-venture partners could create a yieldco worth $2.8 billion. Bullish analysts have also attached some impressive annual cash flow numbers to these assets. But the availability of these solar-power assets for a yieldco reflects a growing challenge: The pair hasn’t been able to sell these assets at favorable valuations in the open market. During First Solar’s fourth-quarter earnings call, Mark Widmar blamed the company’s disappointing results on “retaining 49 percent of Solar Gen,” a 150-megawatt installation that came onstream in July 2014 and operates under a 25-year contract with Sempra Energy (NYSE: SRE). First Solar hasn’t been able to sell an interest in this project at what it regards as an appropriate valuation. As for SunPower, management opted to not provide 2015 guidance until it hashes out details about the yieldco—probably a wise move after suffering a 45 percent decline in fourth-quarter earnings. First Solar’s inability to sell the Solar Gen projects suggests that major customers such as NextEra Energy, Southern Company (NYSE: SO) and Berkshire Hathaway’s (NYSE: BRK/A, BRK/B) Mid-American Energy have started to pick their spots more carefully. And with so many solar-power installations going up before US tax credits expire on Dec. 31, 2016, buyers can afford to be picky. The sunset of solar-power tax credits would force these installations to compete on equal footing with wind-power plants and other forms of generation capacity. Competition among buyers could heat up if other states follow Idaho’s recent decision to cut the required length of solar-power purchase contracts from 20 years to five years. But all signs point toward lower market values for solar-power plants. First Solar’s most recent 10-K filing reveals that the firm’s assets include 1,659 megawatts of unsold solar-power projects that will come onstream in 2015. SunPower’s portfolio appears to be smaller in size, but investors shouldn’t overlook the $1.4 billion project backlog that management cited during the firm’s fourth-quarter earnings call. Creating a yieldco would provide a vehicle for monetizing this overhang—one of the main catalysts behind the short squeeze that sent First Solar and SunPower’s shares surging higher. Given our focus on dividend-paying stocks, readers likely want to know whether First Solar and SunPower’s proposed yieldco will make a good investment. Until the yieldco files its S-1 registration statement with the US Securities and Exchange Commission, we won’t have all the answers—even then, we’ll have to wait for subsequent amendments to get a sense of pricing and the potential dividend. With the market’s hype machine running overtime, First Solar and SunPower should reap the rewards if the IPO comes out at the right time. Unfortunately, a successful launch likely means a high entry price for anyone who isn’t an insider. But when the IPO fever cools off, patient investors will almost certainly have a better entry point. Consider Abengoa Yield, which priced at $29 per share last June and rallied to more than $40 per share in late July. 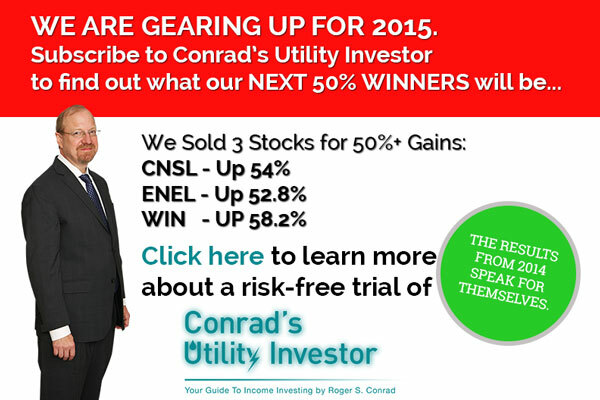 In December 2014, we added the stock to our Aggressive Income Portfolio—a model portfolio available exclusively to Conrad’s Utility Investor subscribers—at a bargain price in the mid-$20s. Recent announcements about Abengoa Yield’s planned drop-down transactions and dividend growth have sent the stock sharply higher, giving us a 22 percent gain over a roughly three-month holding period. And we see more upside to come. 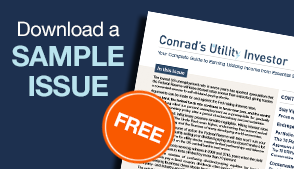 As Conrad’s Utility Investor subscribers can attest, this pick wasn’t a flash in the pan; last year, we booked gains of more than 50 percent on three Aggressive Income Portfolio holdings. 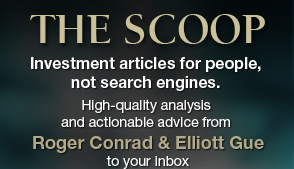 Join us today for instant access to my top picks for conservative and aggressive income investors. If First Solar and SunPower have a long-term growth plan for their yieldco, the market eventually will give patient investors an opportunity to buy the stock at a reasonable price. In the meantime, let’s make sure these ailing solar-power companies aren’t taking advantage of yield-hungry investors to cash out of unwanted assets.